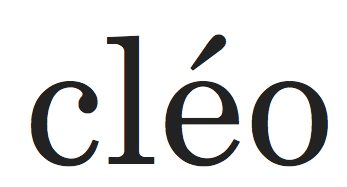 cléo is a journal of film and film culture, informed by feminist perspectives. The journal takes its name from the protagonist of Agnes Varda’s Cléo de cinq à sept (1962), who comes to self-realization through the observation and mastering of her space. In the spirit of Varda’s film, cléo is an open space for emerging and established writers to address issues of film and feminisms.